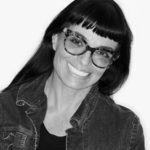 Traveling light is its own form of freedom—and designer Norma Kamali, a frequent traveler, has *all* of the secrets to making it look good. 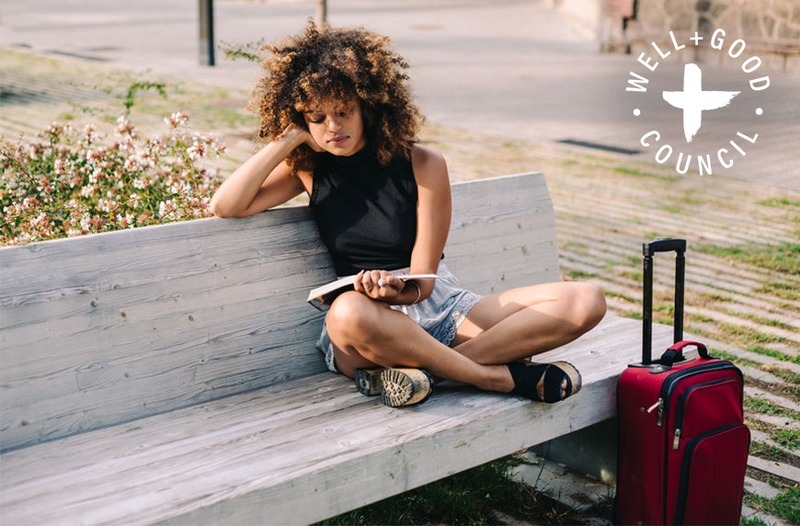 Here, the Well+Good Council member shares her advice for getting the most style from your next trip… without lugging around a huge suitcase. My objective was to pack minimally, and there was a good reason behind it: fashion. I would board the plane wearing everything I was taking with me, plus a large handbag. Once in the air, I’d remove layers, hang them all, and sleep in the last layer. Upon arrival, I’d dress again and head to my room. There, I would hang everything, shower, and head out for a shopping adventure. I traveled to London and back every weekend for four years. London was an epicenter of style in the late ’60s. Mary Quant. Carnaby Street. Jean Shrimpton. Youth culture was everywhere, and the shops had clothes that nobody had ever seen before. I’d browse them all, picking and choosing for me and friends who gave me money to shop for them. Bogged down with shopping bags by the end of the day, I would bring heaps of clothes back to my room and start to pack using the techniques I’d learned from the airlines. In my carry-on bag to London, I had a bundle of clear Ziploc bags, rubber bands, and one small, folded garment bag. I would fold each piece of clothing to the width of the Ziploc bag, then roll it into a frankfurter shape. Then I would place two rubber bands around either end. Next, I would put the rolled-up garment into the Ziploc bag and continue until all the styles were brought to the smallest size possible. After all were in the Ziploc bags, I would place them at the bottom of the expandable garment bag. I’d hang the bag in the closet and continue to fill the bag from bottom to top. On the return trip home I would in fact have a carry-on, and whenever possible, I would ask for it to be hung. Looking back, I know I filled that garment bag to the top each trip! Years later, I still travel a lot. Overall, I think that minimalism is the key to packing well. I travel light, and in some cases, I send my things ahead to the hotel. Think carry-on bag as the limit, plus a large handbag for personal care and beauty items. I’ve learned that blocking out time to pack smart makes the trip easy. Plan each look before packing, choosing clothes that you can wear for several outfits. You never need to bring clothes for more than four days, even if you’re staying a week. (Just plan the additional days using styles from the first four.) I advise packing knits when possible, since they’re lighter and easier all the way around. You can wash and wear most knits, and they tend not to wrinkle. Shoes eat up space, so you have to make a choice: more clothes or more shoes. Once you decide on what you’re wearing, don’t add anything extra unless you absolutely need it. I’ve learned that blocking out time to pack smart makes the trip easy. Then roll your knits and put them in Ziploc bags. Remember, rolling prevents crease lines, so whenever you can, do that right away. Next, look at what is left. Ask yourself whether everything can fit in a carry-on and the handbag. If not, edit. Then do the same for beauty. All you really need is a moisturizer, non-soap cleanser, shampoo and conditioner, and you are done. The bottom line is this: Packing and planning the contents of your travel bag is everything. I’m guessing you’ll be surprised by the great looks you can put together with a good plan. Bon voyage!